avant garde design: happy halloween! two fun days in one! i have to admit, i've never truly been one to embrace halloween like some do. when my son was younger i loved making him costumes and trick or treating, absolutely. 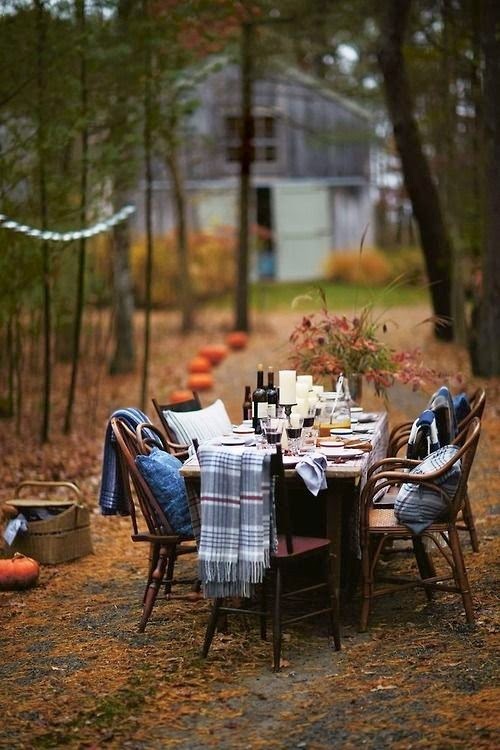 but over scary costume parties and haunted houses, i'd much rather be in a space like this, surrounded by fall & pumpkins...(ok maybe they could at least be carved and lit! )...and red wine and food and friends, now that's my kind of party! however you choose to enjoy halloween, have a blast! me? i'll probably be wrapped up in a blanket sipping red wine and breathing in the fall night air. enjoy! similar to: doing things differently, get outdoors, getting downright creative, holidays, it's friday, just saying, loving, pure inspiration, the seasons, what moves you?